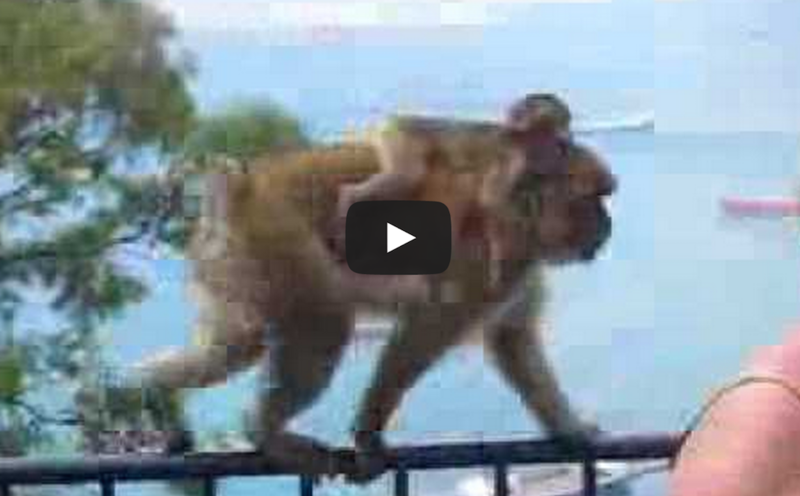 This Monkey Thief Wanted Some Ice Cream, Wait Til You See How He Got It! Monkeys are cute, curious creatures. They also don’t hesitate to take what they want, when they want it. Rob Vermeulen happen to be at the right place, at the right time. He spotted a mother monkey carrying her baby on her back, and started recording. He did not expect to catch this on video! How These Cats Take Revenge Will Shock You – Maybe Even Make You Laugh!